Photography is a deep passion for me, and I love to share the passion with others who feel the same way. We've all heard the saying, "those who can't do...teach." I think that's a cheap shot and does not apply to those who teach with purpose. To teach with purpose, you must have a deep understanding of the subject matter, and be able to convey information intelligently and concisely. Teaching a class on landscape photography. 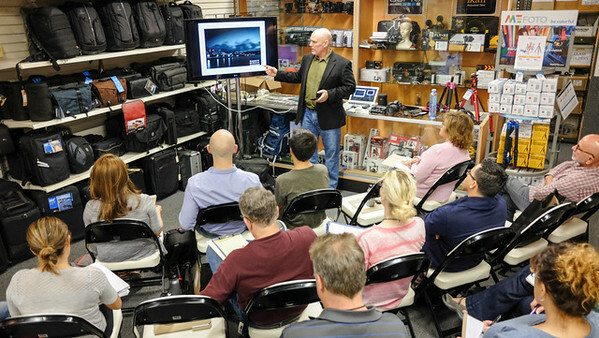 That's me teaching the first part of a two-part workshop on long exposure photography. Part one was an evening class that covered the theory and artistic tips on long exposure images. The second part was at the beach two days later (at 6:30 am!) where students could implement what they learned in class. 1) To teach with purpose you must understand the techniques you are conveying. While teaching others you will become aware of your own gaps in knowledge. No one knows everything. To teach well, you must understand the material deeply. When you prepare to teach a class you will become aware of gaps in your knowledge. Ideally you will then be inspired to seek answers so you can best convey your knowledge to others. Every time I teach, I prepare an outline. While preparing my outlines, I always encounter questions which prompt me to look up information. In preparing to teach others, I become a more informed photographer. 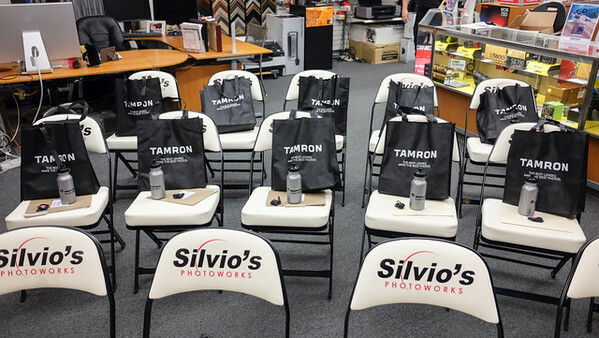 Setting up for my class at Silvio's Photoworks in Torrance, CA. 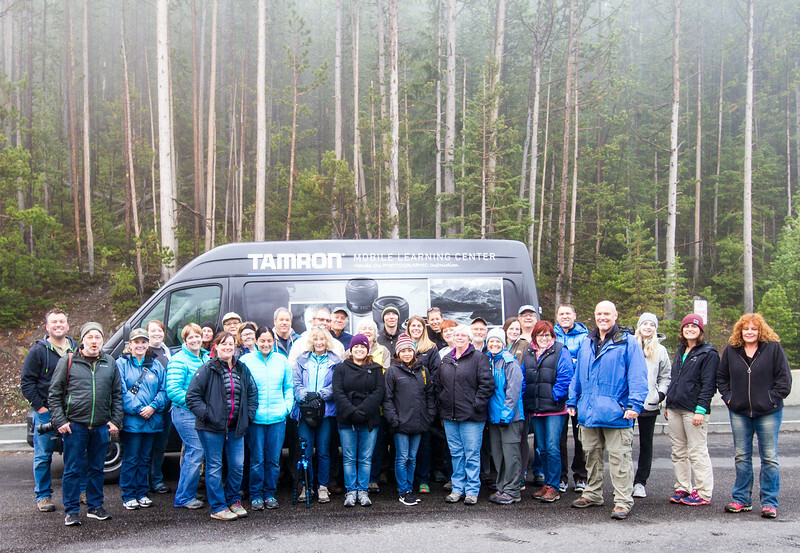 Thanks to Tamron and Manfrotto for providing gifts for the students. 2) Preparing to teach others makes your photography consistent and intentional. When preparing for the two-part workshop referenced above, I had to think sequentially about how I wanted to convey the information in class, and how I wanted the students to proceed during the "field" portion of the workshop. To show others how to create great long exposure images, you can't be a "one off" photographer. What I mean by that is, you have to have a level of proficiency in your photography where you can consistently create solid results. This "intentionality" improves your work and makes you a better photographer for your clients. Whether you shoot headshots, food, commercial photography or lifestyle images, your client wants consistent, high-quality results. When you are able to effectively teach others how to do this, than you know how to do it yourself. 3) Teaching photography classes is social proof of your expertise as a photographer, and raises your profile with clients and potential photography sponsors. Teaching photography is also social and fun! If you are teaching a paid photography class, you have a skill that is in demand. You must have developed your skills to a point where you have something to convey. That is social proof of your skill level. That makes you a more valuable photographer to clients, and potential sponsors. Sharing photography with others is also very fun. If you are a landscape photographer you enjoy traveling to new places. If you are portrait photographer, you enjoy having new models and glamorous clothing to photograph. Teachers and students enjoy photographing new and exciting subjects, and workshops give you a reason to plan a great shoot locally, or at a far away destination. I've had the pleasure of meeting incredible people in the photography world. I find that photographers are generally very interesting people who come with diverse and interesting life stories. When I teach with other instructors, as I did in Yellowstone National Park, I enjoy watching and learning from them. While teaching and traveling for photography, I've met people from all over the world, many of whom I have stayed in touch with, long after we first met. My next class is an "Introduction to Post-Processing with Lightroom" on Thursday, January 25th at Silvio's Photoworks in Torrance, CA. Only 3 spots left! Sign up HERE. For more information on upcoming workshops please join my mailing list by texting the word "photosbykag" to 22828. If you are interested in a one on one workshop please send me an email: kag@photosbykag.com You can also follow me @photosbykag on social media. Thank you to all the people who have taught me along the way, and continue to help me grow as a photographer. Kevin Gilligan is an award-winning photographer and workshop instructor who loves to capture action, dramatic landscapes and portraits. Kevin's vision and discipline are informed by his love and study of the ocean, and 30 plus years studying martial arts. Kevin lives in L.A.'s South Bay. His photography has been shown in more than 15 group and solo exhibitions, published across the United States and repeatedly displayed in museums. For more information about Kevin's imagery, view his bio by clicking HERE. Thank you to my sponsors for all of your support!